Watercolor Sweets Label. Card Background With Hand Drawn Desserts. Stock Photo, Picture And Royalty Free Image. Image 54621725. 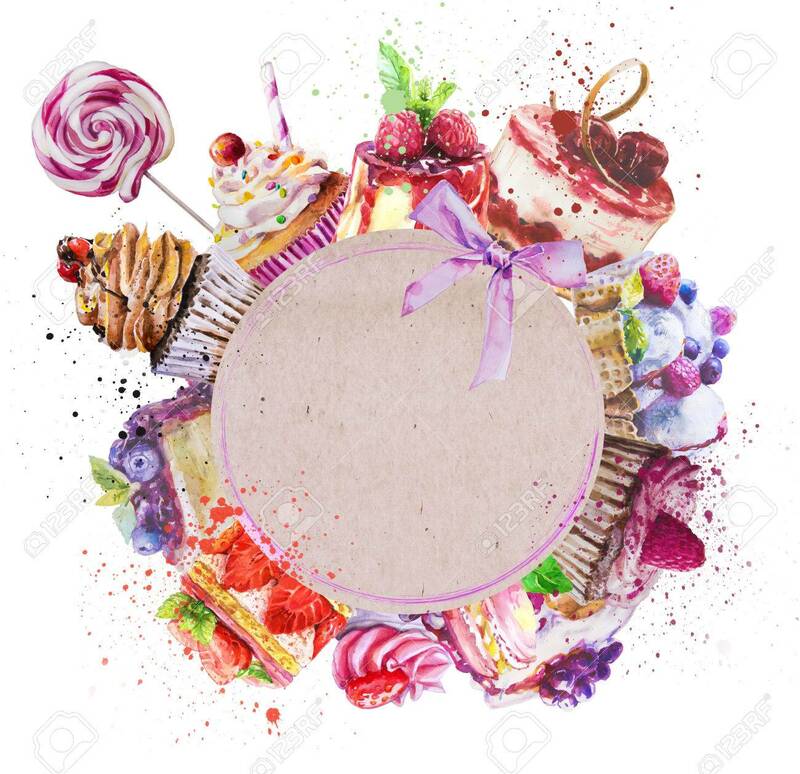 Stock Photo - Watercolor sweets label. Card background with hand drawn desserts. Watercolor sweets label. Card background with hand drawn desserts.